Description: Inspired by the historic country of England, Berkshire Walnut embodies all the essence of a time worn walnut. This old world pattern features a subtle under glow and a hand-scraped texture that enhances its sophisticated detail and rich color play. 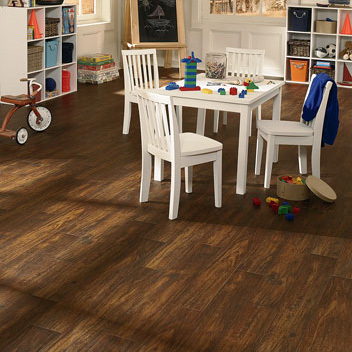 Berkshire Walnut is a 5” wide plank pattern that is an ideal backdrop to any home décor with classic styling.